Shoplifting is a crime that often begins in the teenage years, and surprisingly there is a notable increase in retail theft crimes that occurs on Black Friday. Many families have been sitting around the table today sharing reasons they are thankful while mere hours later they will be fighting for a place in line to obtain the hottest item on store shelves. While some of the best deals can be found on Black Friday, it is certainly not the day to see the best of people. Beyond those quarreling in line and past others who may be getting physically aggressive with fellow store patrons are other crimes being committed under the radar. Shoplifting is one of these unexpected crimes that can occur despite the increased holiday foot traffic. Also not expected is the extra eyes and cameras being used to catch those taking advantage of the crowds. Shoplifting is known under the Utah Criminal Code as retail theft. Section 76-6-602 states: “A person commits the offense of retail theft when he knowingly: Takes possession of, conceals, carries away, transfers or causes to be carried away or transferred, any merchandise. . . in a retail mercantile establishment with the intention of retaining such merchandise or depriving the merchant permanently of the possession . . . without paying the retail value of such merchandise.” Shoplifting can also occur if someone alters or removes a tag in order to deprive the merchant of the full retail value. Shoplifting can be done by people of all ages, and teens are definitely not exempt from this crime. Many adults who face problems with chronic shoplifting say the practice started when they were adolescents. 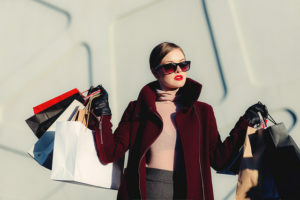 Teen shoplifting can begin due to a variety of reasons such as low or non-existent income, peer pressure, entitlement issues and even just for thrills. This time of year, many teens may shoplift because they feel they have no other way of obtaining gifts for their family and friends. Regardless of why teenagers begin shoplifting, most do not understand the legal consequences surrounding this crime. 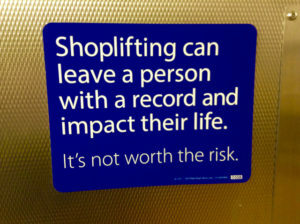 The criminal charges for shoplifting depend on the value of the items lifted. Charges can range from a class B misdemeanor to a second degree felony and additionally, most stores will also permanently ban shoplifters from ever entering their stores again. Before shopping for gifts and other material possessions takes over this season, parents should sit down with their teens and educate them on the laws regarding shoplifting. This is also an opportune time to help teenagers discover ways to make gifts or earn money so they can join in the holiday gift exchange. Teens who may be facing charges for shoplifting and other types of theft should consult with an attorney.